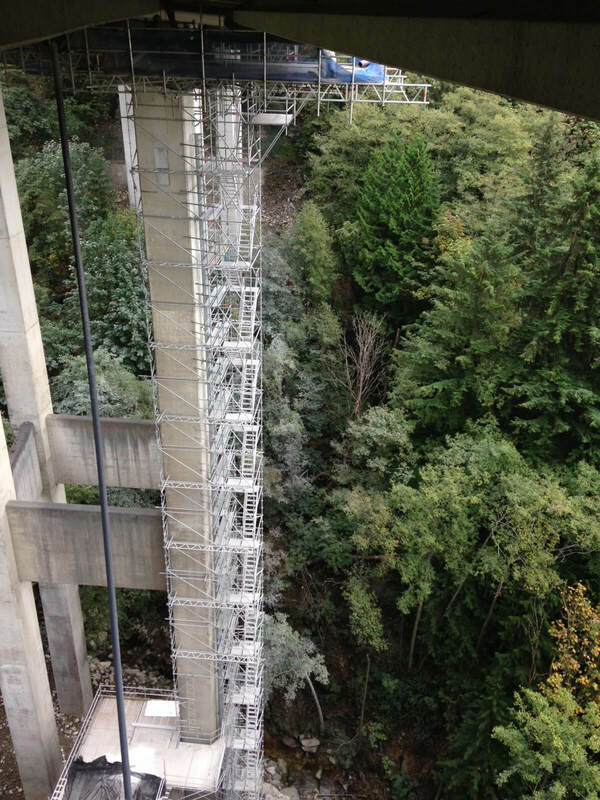 The client required a suspended access walkway along 850 lineal feet of concrete bridge, as well as pier cap access capable of 100psf loading. Stair access from grade at piers in excess of 130’ in height was also required in two areas, with access to the cross beams. 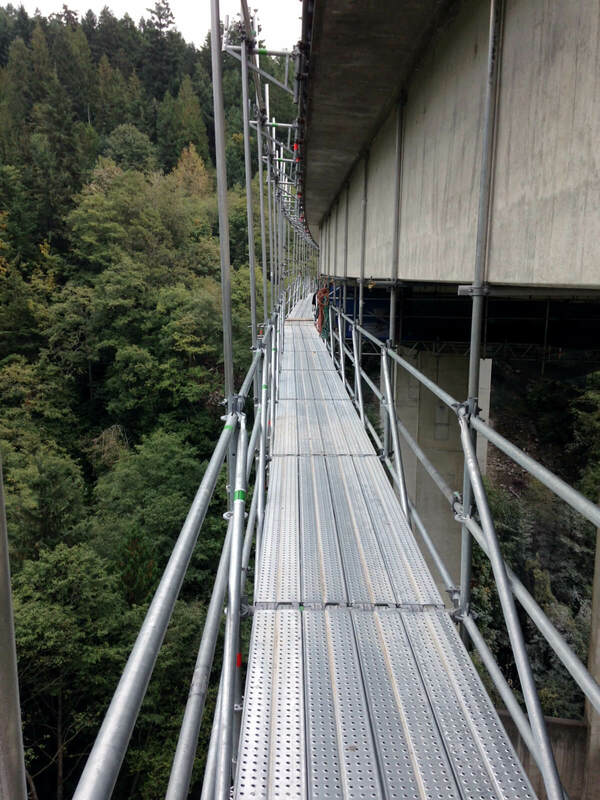 This was a challenging project, in that the bridge cambered in two directions, and curved!